I'm currently out processing the Air Force to Join the Army Reserves and a Chaplain Candidate. I'm seeking a job that will challenge me and help me grow. My dream is to one day work as a hospital, prison or school chaplain and I'm looking for employment and leadership that can help me get there. I'm also the co-owner of CTL Photography and I'm an award winning photographer who loves travel, adventure and sharing my talent with the world. Lastly, I belive in setting goals and I love helping others conceive and achieve theirs. Trains up to 30 days each year under the supervision of a senior chaplain at a military installation. Provides advice in matters pertaining to religion, morals and morale. Helps oversee a full program of religious ministries, including workshops, counseling sessions, religious education and special events. Trains to officiate at official ceremonies such as military functions, funerals and memorials. Assist Army Reserve Chaplains with religious ministry to a variety of armed service personnel and civilians from the U.S., foreign nations and agencies. The principal military advisor to the A&FRC director on matters regarding readiness and deployment for active duty, Guard and Reserve, DoD civilians, and family members. Assists service members and families with planning for deployments and extended separations, to include developing and making available educational materials. Briefs and provides information and referral services to families in the absence of the military member. Develops reintegration materials and on-going services for all eligible beneficiaries. Manage and direct the operations of maintenance, repair and construction of facility mechanical systems. Oversee the operations of all mechanical trades comprised of HVAC, Refrigeration, Ventilation, Sheet Metal, Weld, and Machine Shop Technicians. Manages day-to-day operations of permanent party unaccompanied housing facilities to include dormitories, enlisted and officer quarters. Identifies annual and 5-year furnishings requirements. Performs facility management. Ensures resident compliance with directives and military living standards. Provide executive level guidance to senior level management and staff on matters of health, morale, welfare, discipline, professional development, and recognition for 255 enlisted personnel. Provide 24 hours a day, 7 days a week employee relations assistance. Counsel personnel offering assistance to deal with personal issues. The Mdiv prepares students for professional work in Christian ministry within local churches as well as para-church organizations. The M.Div. program provides an in-depth knowledge of biblical leadership principles and methods, and an in-depth study of Scripture and Christian principles. Coursework places emphasis on embracing the essential values, knowledge, and skills needed to serve in a variety of roles as a pastor. This online divinity program is also great for military students looking to fulfill service requirements as chaplains for certain branches of the armed services. Engineering Management is a graduate program specifically designed for engineers, scientists, and computer scientists who want to add management and leadership skills to their technical undergraduate base. I helped lead the service and setup the audio and video for Sunday service. I also supported prison ministry and the childrens ministry. I help this position for 2 years. My wife and I helped supervise and teach children about the Gospels while their parents enjoyed church service. I lead children's church. In this role I supervised 12 kids and planned their weekly Childrens church lesson. I also coordinated other volunteers, holiday lessons and meals. In this role I helped the Religious Education Coordinator with planning RE classes for the base. We initiated 5 courses in my time there. I organized a group of Airmen that visited Dongsak Elementary School, South Korea. We taught English and helped the children understand US customs and culture. I was responsible for scheduling time with the school and for getting other volunteers to visit and for transportation. I helped with this organization for 1 year. 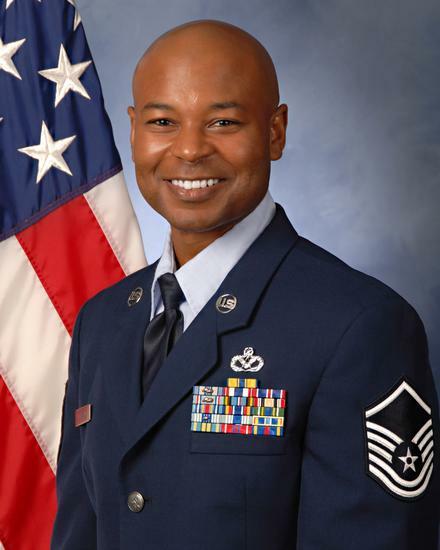 In this role, I advised the Sr. Chaplain on matters that affected our Airmen. I also had influence on budget and missions. I help this position for 1 year.